Patriots quarterback Tom Brady may have been the intended target of some serious shade, after his ex-girlfriend tweeted about the Super Bowl. On Sunday, Feb. 3, 2019, pro athlete Brady celebrated yet another Super Bowl victory with his team, the New England Patriots, following their triumph over the Los Angeles Rams. 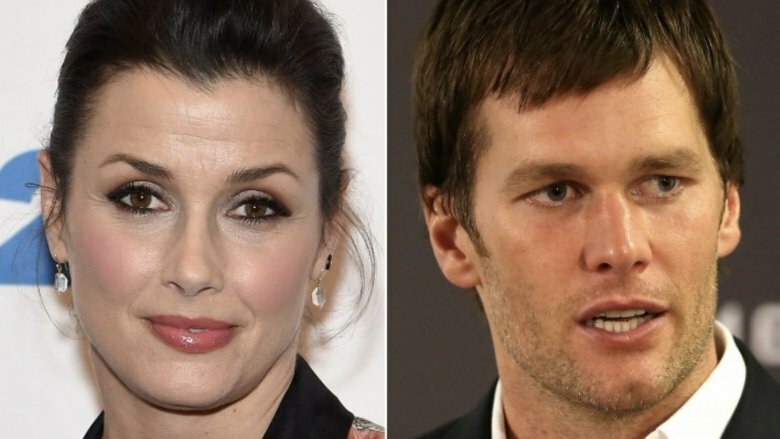 But Brady's ex, Blue Bloods actress Bridget Moynahan, had something to say about it. Taking to Twitter, Moynahan, who shares son Jack with the football player, congratulated Brady on his big win, but suggested that, rather than him, Patriots wide receiver Julian Edelman be named the Super Bowl MVP. "Congratulations @TB12sports," she wrote in a post. "@Patriots thinking @Edelman11 #MVP." As to be expected, people were thrown by such an apparent diss to Brady. "The shade!" one Twitter user responded. "Cold as ICE!" read another tweet. Like Moynahan suggested, Edelman did indeed win the title of MVP. And Brady only had good things to say about his teammate being awarded the honor. Speaking to ESPN, Brady said, "He played the best game of the year," adding, "He's a fighter. I'm just so proud of him. He's been an incredible player for this team." So, just why would Moynahan want to publicly shade her famous ex-boyfriend? Well, while they were said to have split amicably in late 2016 (via People), it wasn't long before Brady got together with his now-wife, supermodel Gisele Bündchen. But we suspect Moynahan and Brady really faced some problems when that Moynahan learned she was pregnant with Brady's child, as was reported in February 2007. Recalling the experience, Moynahan told Harper's Bazaar in 2008, "Going through that traumatic time of being heartbroken and then being pregnant turned my whole life upside down and inside out and just knocked the wind out of me." As she and Brady had already broken up and he'd moved on with Bunchen, Moynahan found herself in the position of being a single mother, something she doesn't believe "any girl grows up dreaming" about, as she told More magazine in 2011 (via People). "[Tom] was not in the [delivery] room," she also shared with the publication. "He was there on that day and came in afterwards. He certainly wasn't holding my hand while I pushed." However, regardless of the stressful circumstances surrounding her pregnancy, Moynahan has expressed that welcoming her son and having him in her life is the "best thing in the world" (via Harper's Bazaar). 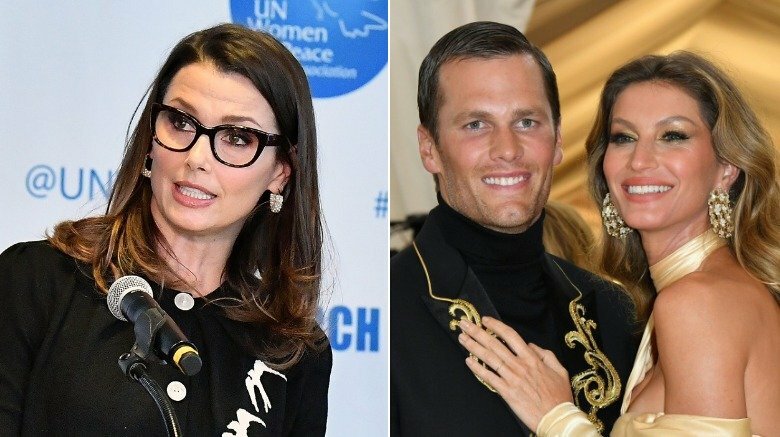 Still, despite Moynahan co-parenting with Brady and Bündchen, we imagine there might be some bad blood between them, as evidenced by Moynahan's Super Bowl LIII tweet. And, notably, it's not the first time that Moynahan has appeared to make a dig at her ex on social media about football's biggest event. In 2018, Moynahan congratulated the Philadelphia Eagles on their 44-33 win over the Patriots, specifically praising quarterback Nick Foles. She tweeted out (via Us Weekly), "#NickFoles is having an amazing game @eagles @nfl." She continued, "Amazing game @Patriots congratulations @Eagles #superbowl2018." Now, Moynahan could very well be delivering subtle shade to her ex with her 2018 and 2019 Super Bowl tweets, but we have to wonder if maybe she's simply just trying to be nice. Maybe she's a true football fan and is merely expressing her opinion about the big games, in which her ex-boyfriend just happens to be a key player. After all, in a WebMD interview, she revealed that she's been a lifelong fan of sports. "I grew up playing sports and I was on teams my whole life. I was also active during the summers in tennis camps and basketball camps," she said. "I've just always been active; it's been part of my lifestyle my entire life." So, it'd definitely check out that she just likes watching professional football, even if Brady is involved, though it's admittedly not as juicy. Plus, E! News reported that Moynahan and Brady's son was at the Super Bowl, watching the game with his half-siblings. So, it'd make sense that Moynahan might also be tuning in, if only to share an experience with her kiddo. And we'd assume that shading Brady online might only come back to bite Moynahan if she indeed want her son to grow up "surrounded by love," as she'd previously told More. To the magazine, she'd also noted, regarding Brady and Bündchen, "I have a relationship with these people on a daily basis. I'm raising a child, and it's public. The media creates these dramas, and that's not what's happening in my life." So maybe Moynahan is just fine with Brady after all.